From beginning to end, hand-rolled cigars are constructed entirely by hand. Each of the discount premium cigar brands listed below have been bunched, hand-rolled, and trimmed by highly skilled and specifically trained cigar rollers known as a Torcedos. The FILLER is the middle part of the cigar. 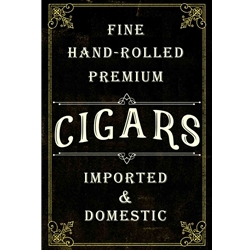 All premium and fine cigars have long fillers that run the entire length of the cigar. The BINDER goes around the filler to contain it. It is pliable and silky, slightly rougher than the wrapper. It has no flavor, but it is essential in helping give the cigar its shape and holding by the filler at just the right density. The WRAPPER is made from extremely high quality tobacco. It has a smooth texture and feels oily to the touch. It must burn steadily and contribute to the taste of the cigar. The color of the wrapper determines the flavor. A light or medium brown shade means the cigar has a mild or medium flavor. The darker the wrapper, the more full-bodied its flavor is. Handmade cigars should have a mild sheen to their appearance, with no veins in the surface. It should feel smooth and firm, with no soft spots. If you’re aspiring to be a cigar connoisseur, try one of the discount hand-rolled premium cigars we have listed in our online cigar store below. They are all available here at Smokers Discounts!